It's a world record that's being broken every second. On board the New Horizons spacecraft – which APL built and operates for NASA – is a 1991 "Pluto Not Yet Explored" stamp that has earned a Guinness World Record for the farthest distance traveled by a postage stamp. 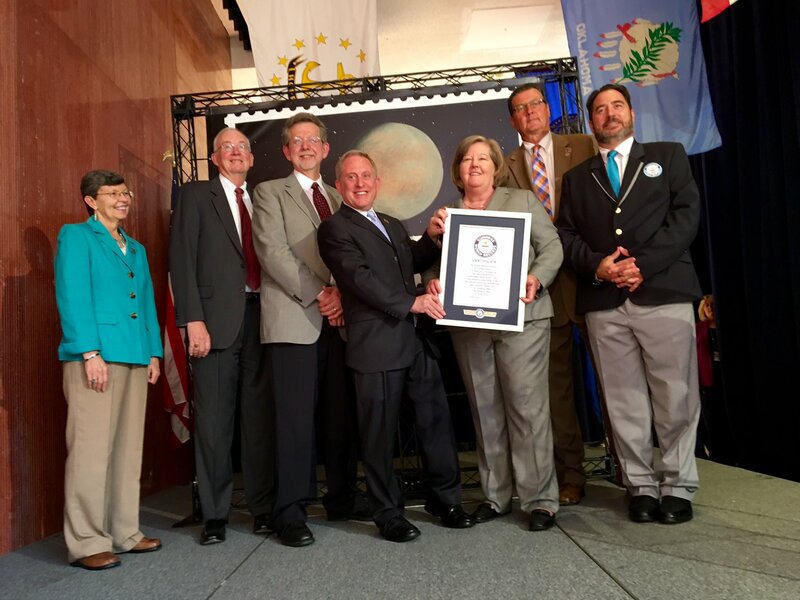 "Our mission is to make the amazing official," said Jimmy Coggins, official adjudicator for Guinness World Records, during a presentation ceremony on July 19 at U.S. Postal Service Headquarters in Washington, D.C. The 29-cent "Pluto Not Yet Explored" stamp became a rallying cry for the New Horizons mission team, which affixed it on the spacecraft at Cape Canaveral, Florida, before launch on Jan. 19, 2006. 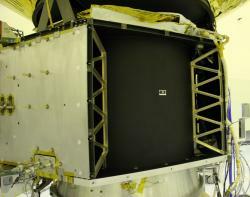 The stamp hitched a ride of more than 3.2 billion miles to Pluto, flying past the dwarf planet (with the spacecraft, of course) on July 14, 2015. The "little stamp that could" is continuing its record-setting journey, now 274 million miles (441 million kilometers) beyond Pluto, continuously breaking the world record it just set. NASA has approved an extended mission for a Jan. 1, 2019 flyby of a Kuiper Belt object one billion miles past Pluto. Known as 2014 MU69, it's considered one of the early building blocks of the solar system. The stamp is actually one of nine items placed on the New Horizons spacecraft; read more about these keepsakes from home here.